CALLIA $2750 Sales restricted to the Western United States. Callia is Greek for "beautiful voice", and that definition perfectly describes the CALLIA DAC. Music is neutral and realistic with incredible micro- and macro-detail. Dynamics are bold and energetic when called upon, but delicate and gentle when need be. The largest voices as well as the subtlest nuances are all reproduced with clarity and agility. Whether it is vocals, a full orchestra, or electronic music, you will hear and enjoy everything as it was intended. The CALLIA is a full-featured DAC with bypassable volume control and a dedicated headphone output with separate volume control. The adjustable headphone output allows for optimal drive of both low and high impedance headphones. Designed and manufactured in the United Kingdom, it features the same high quality design and components found in Prism Sound's professional product line. Great care has been taken to minimize noise and interference, with all analog circuitry galvanically isolated and a fully-balanced architecture to reject common mode interference. Harmonic distortion and signal-to-noise has been addressed across the full spectrum for extreme transparency with real music. PCM up to 32-bit/384kHz and DSD64/128 is supported. The "CleverClox" hybrid digital phase-locked loop (DPLL) circuit coupled with re-generated ultra-stable internal clocking provides unsurpassed jitter rejection. USB is implemented using custom firmware and an FPGA performs proprietary signal processing before the analog conversion takes place. 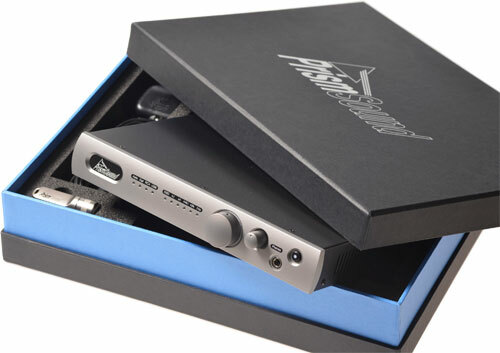 Prism Sound audio converters have been used by professional studios, producers, and engineers since 1993. Now that reference audiophile quality is available to you with the CALLIA. ...silky, luxurious sound, married to its ability to expose the most minute details. The leading-edge transients were razor sharp and unfailingly musical. Sheer beauty for your ears. Callia is exceptionally detailed, with extremely precise leading edges. ...One of the most honest DACs you'll hear. ...a better binaural experience...than I have heard to date. ...crystal clear and fast...detailed and accurate. ...an almost palpable sense of prescence...one can almost feel the air around the musicians. ...the Callia is an exceptional match for the classical music enthusiast.